This handy Two Step Stool is the perfect height for kids of all ages. The children will enjoy the added confidence and independence to be able to see above the bathroom sink. Those BIG KIDS (adults) will appreciate not having to be all Tipsy-Toe to reach that top shelf in the kitchen. Just to help everyone stay safe anti-skid pads are on the bottom of all the legs. This Step Stool is a handmade product created to order with high quality wood. Each piece of wood has its own character and imperfections that create a natural beauty. I try not to hide knots or other blemishes for these imperfections give each item the perfect charm of a rustic modern Step Stool. 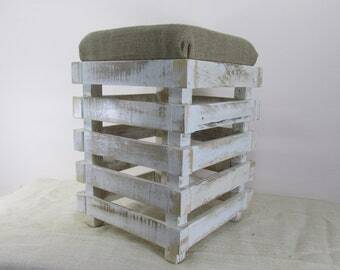 The Step Stool base is in a distressed white finish. 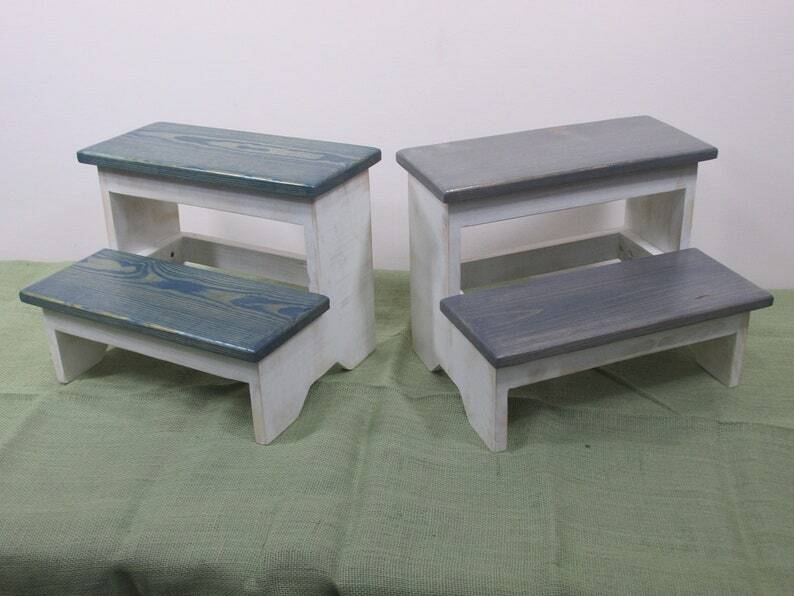 The steps are available in a choice of stain or a distressed paint finish. The Step Stools are given 3 coats of an oil base Satin Lacquer to seal in the colors for years of lasting beauty and practical use. During checkout you can choose from 10 colors from the drop down menu. This will be the color for the step, the base will have a distressed white finish. This stool can hold 250 lbs, Tested it myself. All items are cut, assembled, nailed and finished by hand. This is done in hopes that my hard work will allow this wood many more years of beauty and function. Due to the nature of wood, there will be variations in the color, grain and texture of the materials. Every item produced really is one of a kind. 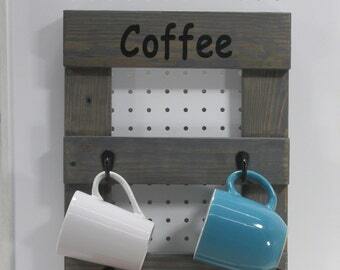 If this item doesn`t quite meet your needs, click the blue bar below the pictures to "Request a Custom Order". We would love to create something just for you! Turned out better than imagined!! Thank you! All I can say is BEAUTIFUL! I love it and would most definitely recommend this shop. Not only did I receive a beautiful product but also super fast shipping! Sizes are listed in all listings! Please feel free to send me a message if you have any questions! Most orders can be personalized! Just send me a message and tell me what you would like to do and we can work out the details! Check delivery dates when checking out for your ship date. Please message us for more complete information. Please include your name, business, location, and item(s) you are interested in include colors or sizes where applicable. Thanks!